When it comes to bucket list locations, quite a few places tend to pop up on everyone’s lists. Bangkok, New York, Paris… all of these cities are incredible in their rights, and there’s no way you would leave any of them feeling disappointed. But although these places remain the major players regarding bucket list locations, some smaller towns and cities are creeping in as must do’s as well. One such example is the Greek island of Santorini. One of the most southern Greek islands, hanging on the edge of the Aegean sea, you may not have heard of Santorini before – but you’ll have seen it before. It has one of the most recognizable landscapes on the planet, and you will have seen it pictured on travel guides and social media galore. Think glowing sunsets, pristine, whitewashed buildings topped with blue turrets, and you’ve got Santorini. This small island attracts thousands of visitors every year where everyone come to look in awe upon its panoramic views, and it has even become a playground for some of the rich and famous. 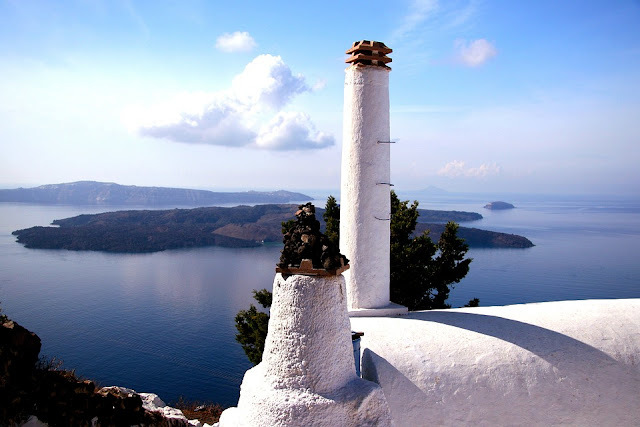 So, what exactly does Santorini have in store for you, should you choose to go there? It should come as no surprise to you that Santorini is blessed with the pretty decent weather for most of the year. But the summertime is when it comes into its own. Temperatures sit at around the 25-degree mark during June, July, August, and September, often reaching higher in the middle of the day. Therefore, if you’re looking for a relaxing break where sun-worshipping is the primary activity of the day, it’s probably best to visit during these peak times (even if the island is a little busier). 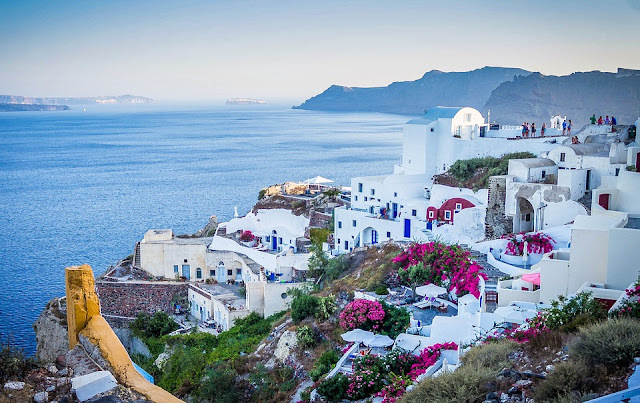 However, if you would like to spend a bit more time sightseeing and wandering around the many sights Santorini has to offer, you may be better off visiting when the weather is a little cooler. Both April and November are good months for this, depending on what side of summer you would like to visit on. One of the best things about Santorini is that you are spoiled for choice with where to stay. The vast majority of visitors head to the West side of the island – the side most commonly associated with the sunset views of Santorini. This is where the capital Fira lies, a bustling hub with plenty of bars, shops, and restaurants. Here you will be able to find plenty of Santorini Villas, as this is a side of the island extremely used to catering to visitors. That is not to say, however, that the east aspect of the isle should be ignored. It may not be as polished as the West side, but regardless, it has a charm all of its own. Kamari is a great family-friendly resort, and Perissa boasts one of the best beaches on the whole of Santorini. If you are planning on staying on the island for a while, you could always travel to some different towns to get a feel for each one. Many people come to Santorini as a way to escape the stresses of everyday life – after all, it provides the perfect backdrop for relaxation. But if the idea of lying on a sun lounger every day for a week does nothing for you, don’t write off Santorini altogether. There are plenty of things to do and some amazing sights to see that can keep you occupied for days on end. One thing you can’t miss during your stay is a visit to a vineyard – Santorini is well-known for its excellent wine, especially its dry whites. 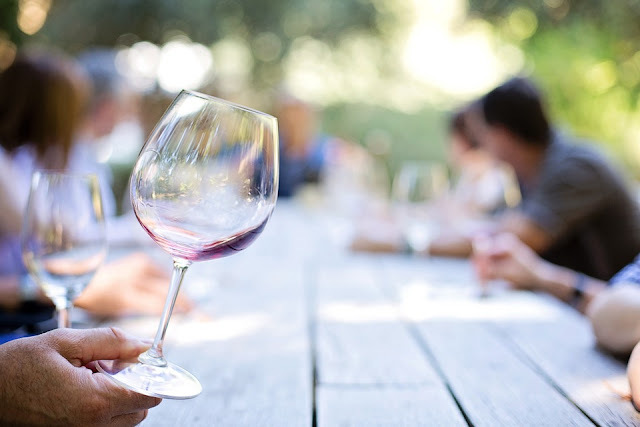 As the island is so small, it is relatively easy to visit the wineries yourself, but if you want to get the authentic experience, take a private tour. Plus, this way, you don’t have to worry about keeping tabs on your drinks ahead of the drive home! Another fun daytime activity is visiting the volcano. Something very few people realize is that Santorini is a settlement founded upon a volcanic rock. It still houses one dormant volcano, which has in turn given way to natural hot springs which you can bathe in. Once there, you can trek up the volcano itself, and some tours also include a ride around the caldera. If that sounds like a little too much physical activity for you, you can take things slower by strolling aimlessly around the beautiful streets of Fira, for that perfect Santorini money-shot. Oia is also a famous town for sightseeing, especially if you go during the evening; it is famed for having the best sunset views on the entire island. 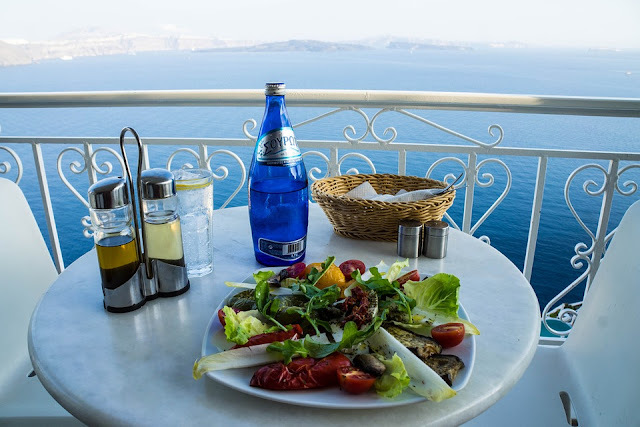 No trip to Santorini would be complete without sampling the aforementioned white wine, but it isn’t just alcoholic beverages you should consider sampling. Greece is also famous for its quality coffee, and you can find traditional cafes in just about every town. The local thing to do is to linger over your coffee with friends for at least an hour, so don’t expect a Starbucks-style takeout! Aside from drinks, there is also an abundance of delectable cuisine ready for sampling on the island of Santorini. If you’re traveling in summer, you may not feel up to a huge, hot meal every single night – which was why Greek meze was invented. Meze is mostly little appetizers you can either have before your meal, or you can order a selection to share with friends for your main meal. Typical meze dishes include the famous tzatziki, fried squid, lamb meatballs, pastry parcels and of course, feta cheese. If you’re feeling bold, wash down your meze with Greek’s national drink – the 38% Ouzo (have it with water if that helps!). Santorini is full of many delights, and a trip there can help to immerse you in one of the most expensive sites of Greece.